Custom two-story Lewis & Bristow home is tucked away on a cul-del-sac street. Lovingly maintained home has two master suites plus two additional bedrooms and four full baths. The gourmet kitchen overlooks the front patio and includes a Thermador six burner range, granite counters, a built-in side by side KitchenAid refrigerator, hickory cabinets, and quartzite solid rock floors. The 2nd master suite offers privacy & occupies the 2nd floor with vaulted ceilings, a gas fireplace, an en-suite bath and a large walk-in closet. 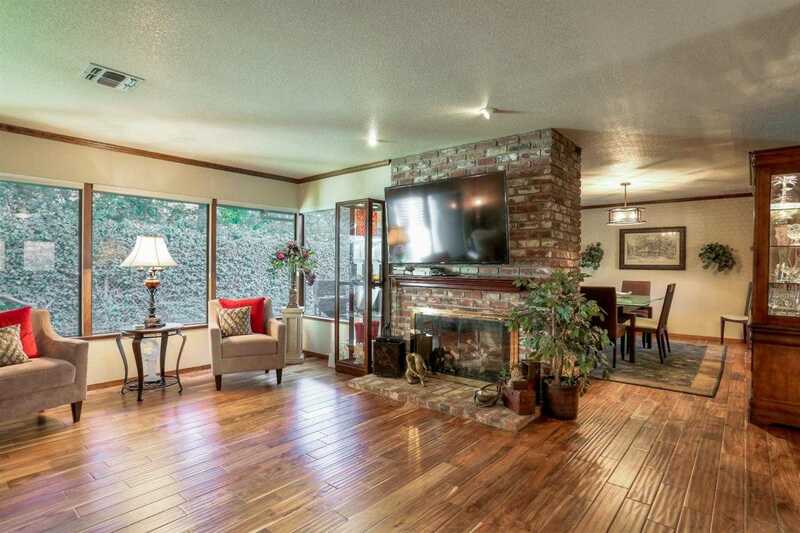 Enjoy the inviting living room with a cozy brick fireplace and a dining room that overlooks the backyard. Amenities included hand scraped teak solid hardwood floors, dual zone HVAC system, a water conditioner system, generous closet storage, indoor laundry room, an over-sized two car garage plus a side area for possible RV storage. Located near Jesuit HS, Rio Americano HS, Whole Foods & American River Pkwy. Please, send me more information on this property: MLS# 19016820 – $899,000 – 809 Lake Oak Court, Sacramento, CA 95864.